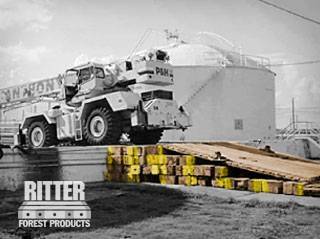 Ritter Forest Products specializes in supplying commercial companies with the crane mats they need to keep their worksites safe. The mats can be used to offer support and protection for all of the heavy equipment that is used by companies, and we keep thousands of pre-made options in stock. But we can also provide you with custom cut hardwood mat rentals and used timber mats for sale. We can create mats based on your exact specifications and deliver them directly to you. If you decide you want to use custom cut hardwood mats and timber products on your next project, we will begin by speaking with you about how large you want the mats to be as well as what kind of materials you want the mats to be made out of. Once we have your specifications down, we will begin the process of cutting your crane mats to meet your demands. We will spare no expense to make sure the crane mats are the correct size and created using the right materials. It will make your job a lot easier in the end. 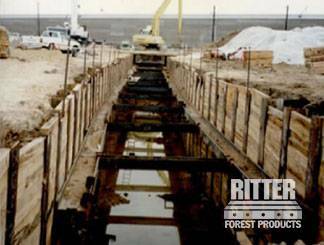 In the past, Ritter Forest Products has manufactured custom cut hardwood mats and timber products for a variety of companies. These mats have been used for construction jobs, bridge work, tunnels, and so much more. They provide the support your equipment needs, and they prevent the equipment from slipping and sliding on the job site. It will make your entire operation safer and eliminate much of the risk associated with using heavy equipment. 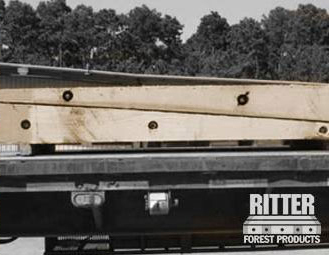 When you need hardwood mats cut to your specific size, we hope you will call on Ritter Forest Products for help. We have been assisting companies with their custom mat needs for many years now, and we are one of the most trusted names in the industry. From cutting your mats to delivering them to you, you will enjoy the entire experience that you get when you work with us. 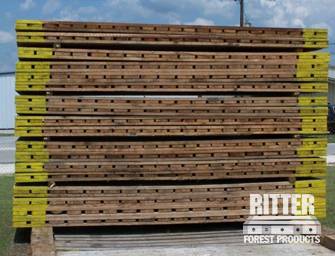 To order custom cut hardwood mats and timber products from Ritter Forest Products, get in touch with us today and let us know your specifications so we can get started.